I’ve spent more time than I care to admit perusing Airbnb’s website for dream stays all over the world. I’ve found some of the most incredible homes in the form of treehouses, airstream trailers and much more. When I look for an Airbnb, I tend to gravitate toward the ones with character and charm. You can forget asking me to stay in a cookie-cutter hotel that looks like something you’d find in a Holiday Inn–I want to stay somewhere with a more personal touch. Indeed, tiny houses would appear to be the ideal Airbnb rental for people like me who want a unique, cozy space. Keep reading if you’re interested in the perfect tiny house rental for Airbnb! Renter service fee: Each time the tiny house is rented, Airbnb will take 3% off the total. Guest reservation fee: Guests are charged a service fee of 6%-12% when they reserve the tiny house. Security deposit: Customers pay the tiny house owner an amount to cover damages or lost keys. Amenities: If you offer extras like coffee or wine that needs to be purchased by the host for each new guest. 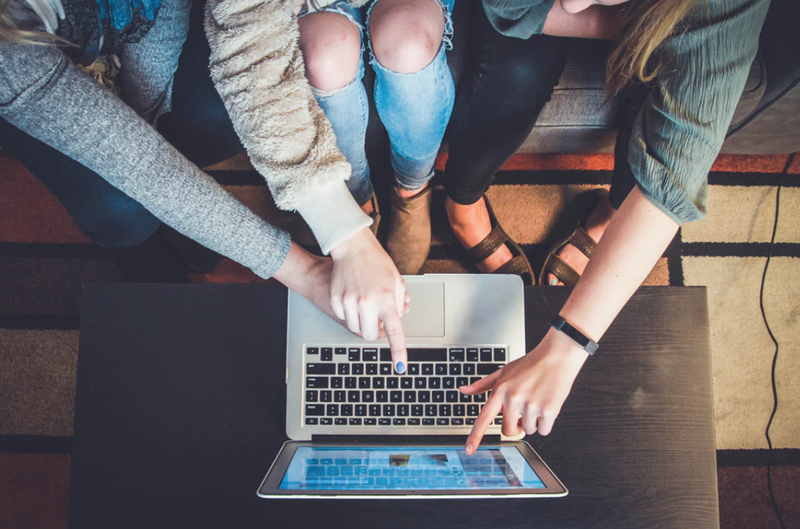 Creating a legal business or limited liability company (LLC), prevents a tiny house owner from being personally liable if your Airbnb business is sued or implicated in any way. Other things to consider could be a business bank account, insurance, and taxes. Will the wheels part of it be a factor? Probably not. If you’re putting your tiny home on Airbnb, it’s doubtful you’ll want your guests driving away with it–they can rent an RV to do that. This tiny home sleeps up to four people and has all of the amenities you could possibly need in an Airbnb. A full kitchen and cozy wood stove means that Airbnb guests can cook their own meals by the light of a fire. One of the things I like most about this house is the addition of a bookshelf to keep guests from falling out of the loft bed. The books are also a great form of entertainment that doesn’t need to be plugged in. With this type of house, you don’t have to worry about your guests taking off into the night with your home. If you choose to build your tiny house on your own property, this will make it easier to access and maintain. From a design point of view, this stationary tiny house is on point. The leather and reclaimed wood give it a modern, refined look. One fantastic feature is the staircase in lieu of a ladder. This makes the house more accessible to people who might have trouble accessing a loft. Some states and cities have specific zoning laws that might require a fee to allow for short-term rentals, so be sure to contact your local business administration authority. Additionally, if you’re planning on building your tiny house yourself, you need make sure your home is up to code. Some areas are more strict than others, so it’s always best to check with your local municipality! As mentioned previously, a smart way to protect yourself and your personal assets is by forming a limited liability company (LLC). This might be a good move if you’re looking to rent out your tiny house on Airbnb more frequently. Snacks and drinks upon arrival: Who can say no to a mini chocolates? There’s no need to whip up a meal for your guests; just a small snack or a bottle of wine goes a long way on Airbnb! Things to do: A booklet of things to do or a map is always welcome for guests who are unfamiliar with the area. Wifi: For those on-the-grid folks who need their laptop for work or for entertainment! Tea and Coffee: Two very important things that many people need to start their day. Toiletries: No need to buy the expensive stuff, but a bar of soap or shampoo is always exciting to see in an Airbnb. Toilet paper should be a given. Wood: If you have a wood stove, supplying a few logs of firewood is super handy for guests who didn’t bring their own axe. Entertainment: A tiny house doesn’t have space for too many extra things, so you’ll want to provide compact fun in the form of books and playing cards. More and more tiny houses are popping up on Airbnb as the tiny house movement increases in popularity. 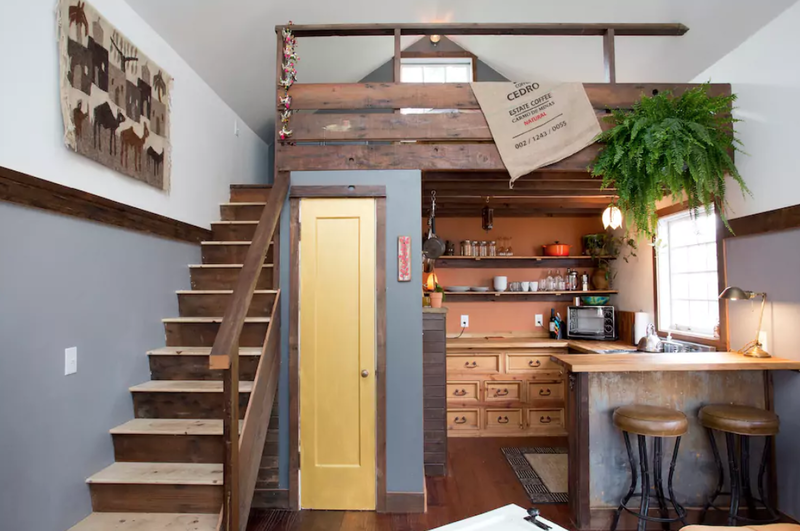 When building and designing your tiny home, try to think of clever ways to make it stand out from the rest. Photos: Hi-quality photos that capture the charm of your tiny house are more likely to get bookings. No one wants to see blurry or dark photos! Writing: How you describe your tiny home will play a big role in the bookings you receive. Location: How close is the nearest supermarket? What kinds of attractions are nearby? Try to think about some reasons why people would want to book. Claim A Name: Name your tiny house! Give it a title that will be easy for people to remember and talk about. Get Social: Create your tiny house a website or social media account on Instagram. People love to browse through tiny house photos! 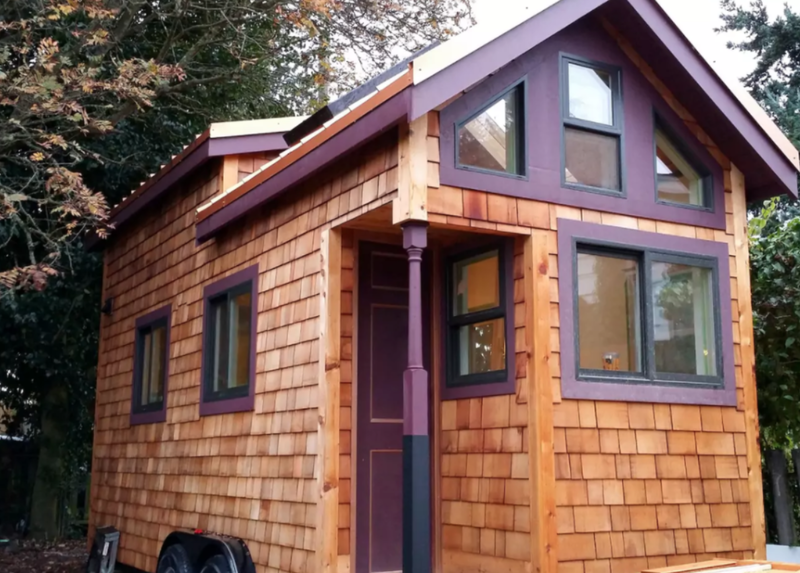 Inspired to build your tiny house rental? This is a great opportunity to generate some extra income, as well as share your love for tiny houses with others! A little can go a long way, and this is certainly the case when renting out your tiny house as an Airbnb.